Are you worried about your child’s excessive online phone activities? Are you susceptible of your partner’s behavior? If yes, then you must have discovered about the term spy software. It is nothing but an application that is used by an individual who is willing to monitor on anyone’s phone. Now the question arises that how can you install Spymaster Pro app in their phone. Well, one of the best ways to gift them a new Android Smartphone. But, before that makes sure you have installed the software in that phone. If you are curious to know which phone in the market is best that is compatible with the spying software, then there are countless reasons to buy Google Pixel 2 for the purpose of phone monitoring. Keep reading to know how to spy on Google Pixel 2. Although, these are vital features for which Spying software is used, but not all softwares tend to serve the needs of customers. Looking forward, we have gathered a few questions that users usually ask before buying phone monitoring software. Have a look! How to Spy on Google Pixel 2 Android Phone? 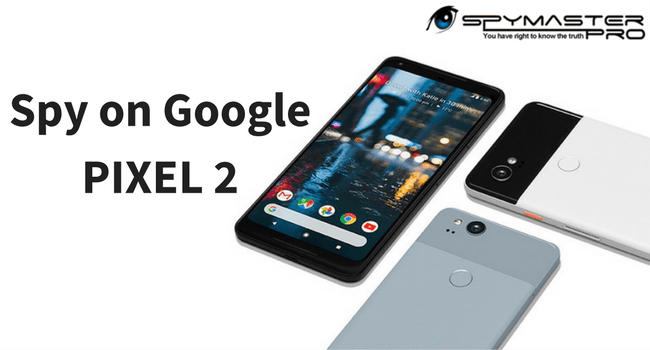 The process of installation on Android Google Pixel 2 or any other Android phone is simple and you just need to download the app and install it on target phone that will hardly takes 2 to 5 minutes for installation. Once done, you can keep target phone aside and start spying them remotely. Will spy software harm my Google Pixel 2? No, not at all! Spy software will not harm Google Pixel 2 or any other Android phone. It will simply work as the other application in your phone does. Is there any software that can spy on both Android and iPhone? Yes, there are numerous softwares available in the market that is compatible with both Android and iPhone. You need to look for the best and the one that is reliable, affordable, and serves all spying software needs. All set? Well, before that you need to look for a good phone monitoring software that can serve all your phone monitoring needs at an affordable pricing. One spy software that is doing a commendable job in spy market is none other than Spymaster Pro. It has been in the market since many years and giving a tough competition to other spywares. So, what are you waiting for? Buy this software today and Spy on Google Pixel 2.